Disaster can strike at any time. From earthquakes to tornadoes to hurricanes, there is a wide variety of natural disasters that can take place and cause incredible damage to a business. In addition to natural disasters, businesses may also be harmed by fires, floods or IT issues. It is essential that businesses of all sizes have a comprehensive Disaster Recovery Plan. 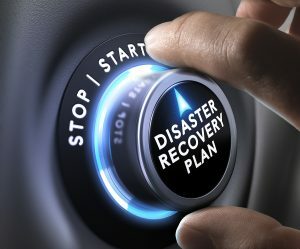 Here are some of the issues that a business may face following a disaster and how they can ensure business continuity in the aftermath. Many disasters can result in major physical damage to buildings and stores. This means that companies should have both an evacuation plan in place and a plan for dealing with the displacement that generally comes with major damage to a building. It may be days or weeks before a building is suitable for people to work in after a fire or a flood, and employees will still often still need a centralized location to work out of. Organizations should determine ahead of time if employees will be expected to telecommute, if arrangements will be made to rent other facilities or if staff will be routed to other business locations. Some businesses may want to find a middle-ground where employees meet at certain locations a few times a week but do the majority of their work from home. One of the major issues that companies run into, even when not dealing with a disaster, is how to communicate effectively. In many cases when there is a disaster, employees are no longer able to go to their normal workplace or call into a specific office to find out what is going on. Therefore, it’s important that a communication system is set up before a problem arises and one is needed. There are a variety of ways to tackle communications following a disaster, including having a certain phone number that employees call to find out updates about the business. Alternatively, a mailing list or web page can be set up that allows employees to find out the status of a business and what they are expected to do. Although the paperless office has been a dream for decades, few businesses are completely digital. Most companies offer paper invoices, and customer contracts are almost always printed and signed in pen. This means that there is often a large amount of paperwork that should be stored in a computer but is not. To ensure that physical records will still be accessible after a disaster, businesses should have a system in place for making and keeping copies of paperwork. A scanner can be employed to capture images of paperwork, and there are object character recognition software suites that can turn the scanned images into text. Once paperwork is in a computer system, it can then be uploaded to the cloud. Cloud computing has changed the way that many businesses handle disaster recovery and business continuity planning. One of the biggest changes that being able to use a cloud backup has brought to the business world is the ability for smaller organizations to use the type of data recovery systems that historically were only available to large organizations. Cloud computing offers redundant file storage, so unlike with tapes or even hard drives that could potentially fail, data saved to the cloud is almost guaranteed to always be available. Systems can be set in place to back up data automatically, and cloud storage allows you to keep multiple copies of records with different time-stamps. The Cloud is helping businesses recover their most critical systems and data faster, while also avoiding the expensive infrastructure costs of onsite or in-office datacenters. Leveraging the cloud is by far one of the best, most cost effective ways to protect your company and ensure business continuity when disaster strikes. Suppose your company is facing hard times in managing hardware and software. Let’s say your servers are running extremely low on space, and there is not enough room left for any new data to be stored. To overcome such a situation, cloud services can be employed. In turn, existing servers get a rest from the over-loaded traffic, and the work environment of the company becomes more synchronized. Moving to the cloud optimizes your resources, but with the help of managed cloud services, businesses are able to focus time and attention on other business-related activities. You know, I haven’t spoken with you guys and ladies in quite some time. It’s been too long, and I just wanted to write a post for you. Today, one of my favorite musicians’ latest album came out, and it got me thinking — thinking about what some people consider to be the American Dream. I’m sure you’re familiar with the story; some lady or gent claws their way from the bottom to the top. It could be figuratively or literally. It could be coming to this country and opening up a chain of gas stations, or coming to this country and opening a chain of hosting companies. While all of that is fine and dandy, I wanted to share with you, Turnkey Internet lovers, my hosting dream. Now, this dream is mine and mine alone, but I’ve also gathered a bit of information just from dealing with multiple clients on a daily basis. You see, I believe the hosting dream is very similar to the American Dream. I say this, as I work with hundreds of clients who have this idea that they can start a hosting company. They purchase a Turnkey reseller account, and set up their site to begin. They may then have a developer, or use one of our website development tools, to build and design their site. Dedicated IPs are purchased, and assigned to domain names that have been recently bought through Turnkey’s domain registration. The customer then sets up the reverse DNS (dynamic naming service) to only be in their domain, after which WHMCS or a similar billing product is purchased or provisioned so that orders can be processed. Next comes the fun part — marketing this new online business. Maybe you create a hosting account on a credible hosting forum to begin making a name for yourself. You may even create social media accounts on sites such as Twitter or Facebook to develop a following. Sure enough, the day comes that you receive that first customer. The beginning of a long journey has arrived. Support issues will be raised, and need to be addressed quickly and completely to the customers’ satisfaction. Repeat. Repeat, repeat. You repeat until your customer base grows. Your name is mentioned in forums and in social — and possibly your local (newspaper, television, etc.) — media. You see, that’s my hosting dream. That anyone can deliver a satisfying product to their customers with the correct tools, ambition, proper networking, support, etc. That anyone can provide top-notch support and superior customer service. That, with all of this, you and your budding hosting company can flourish. That’s my dream and desire for every customer that approaches Turnkey Internet. My hosting dream is for our company to help your company succeed and thrive. I just thought I should share that with you, as everyone has to have a dream, right? How could we achieve anything in this life if we never have a dream? From my hosting dream, to your own. One of the most compelling and least talked about benefits of cloud computing is the potential it offers for a real positive impact on the environment. As computer usage continues to grow at an exponential rate, technology-related emissions grow right along with it. We hear all the time about how using less paper saves the environment, but the electricity it takes to access all that information digitally is rarely talked about or quantified. Office IT infrastructures are huge energy sinkholes. Businesses lose thousands of dollars each year paying to power their IT infrastructure when they could be saving a fortune by transitioning their business to the cloud. Greenpeace predicts the global carbon emissions from computer use will double by 2020. That would be unsustainable and environmentally catastrophic. Greenpeace also states that datacenters that consolidate usage and power could conserve resources significantly. This may seem counterintuitive, since datacenters are huge energy consumers. But, when you consider the power saved by consolidating usage, it makes perfect sense. In an office environment, servers typically stay online 24×7. This may be necessary for the business—if workers need access remotely or software needs to run constantly—but it is extremely wasteful. Those servers are running at full power even if they are only needed for a small amount of processing. In a datacenter, every piece of the computer’s processing power is used. Many offices can conduct their daily operations for the same amount of power one office was using in-house. It’s a basic consolidation equation but it’s one that business owners have yet to embrace. Another aspect of the environmental friendliness of the datacenter is the power source. Most datacenters are equipped with extremely efficient energy infrastructures. For example, our new datacenter in Latham New York will be equipped with NYSERDA approved power. NYSERDA is the New York State Energy Research and Development Authority. They conduct energy audits of commercial buildings and suggest best practices for equipping spaces with the most efficient technology possible. We can offer our clients a state-approved level of efficiency that we’re willing to bet their office parks probably don’t offer. In addition to these green-friendly benefits of cloud computing, it is fairly easy to see how much cost savings there is here as well. Hosting and running applications from the cloud eliminates the cost of in-house hardware and IT staff while improving performance and reliability (more on that in the next article). Read more on Greenpeace’s take on cloud computing, renewable energy and the future here: http://www.greenpeace.org/international/en/publications/reports/make-it-green-cloud-computing/. Cloud computing is relatively new for most business users. As we have begun talking to our clients about the possibilities of the cloud for their businesses, we’ve found many of them are concerned about the safety of their data. Regardless of the actual safety of having a server in your office (and we know that it’s not very safe at all considering the possibility of theft, disaster or hardware failure) simply having the information physically close makes people feel safe. It’s a perceived security, but it’s a powerful perception. 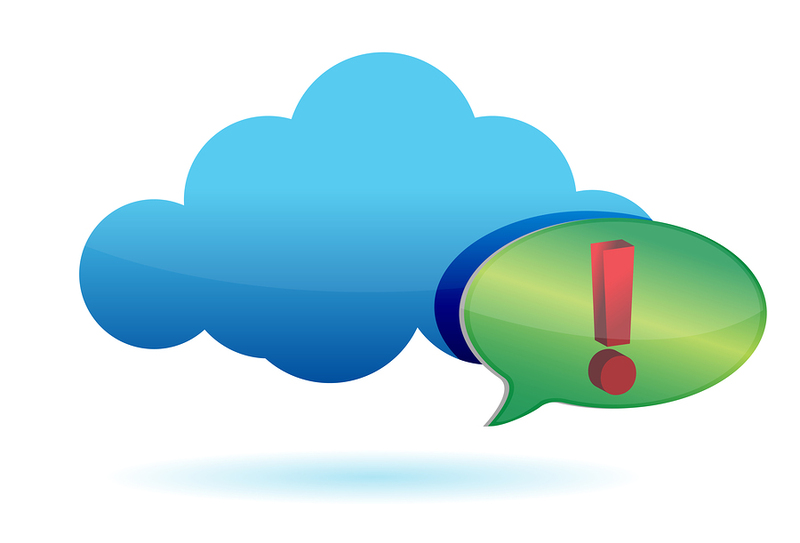 The truth is, information in the cloud is far more secure than information in the office. While “the cloud” makes it sound like the information is floating around somewhere, subject to the whims of the Internet, in reality the information is stored in a physical server inside a secure datacenter. Servers in datacenters (if they are anything like ours) are protected by physical boundaries like thick walls and security cameras and biometrics. They are also protected by virtual boundaries like firewalls and passwords. Then, to top it off, they are protected by backups, so you can restore any lost data immediately. 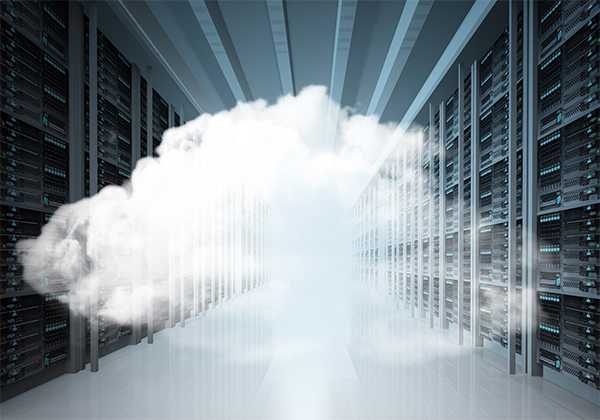 In the TurnKey Cloud, backups are encrypted, adding yet another level of security. You can even completely restore your entire operating system keeping all of your stored settings intact. You can control your entire account remotely, including remote reboots. In the end, if you’re concerned about the security of your data, cloud hosting is the best possible option. While it may seem new and dangerous, it is designed with businesses in mind—providing the kind of security and accessibility that has never been available before. In addition to all that, it’s cheaper and more efficient than housing your own infrastructure in-house. At TurnKey, we see this as a no-brainer.